We’re reaching that part of the year when all of us start becoming amateur meteorologists as the waters of the gulf start churning up. Our lineup is also in a great state of flux as we move in two new films featuring dangerous people and dangerous visions. Join us for a journey to the dark side, will you? WHITE BOY RICK is the DIY tale of a young man who became a drug kingpin before he became a high school graduate. Based on the very true story, Matthew McConaughey stars as Rick’s father who after getting jailed needs the help of his son to get free. A touch of cocaine here, a little FBI entrapment there, and the rest of the tale becomes a lot less simple. We will be showing a special sneak preview of this film tonight, so grab those tickets in advance on our website. MANDY could be explained, but it would rather be experienced. 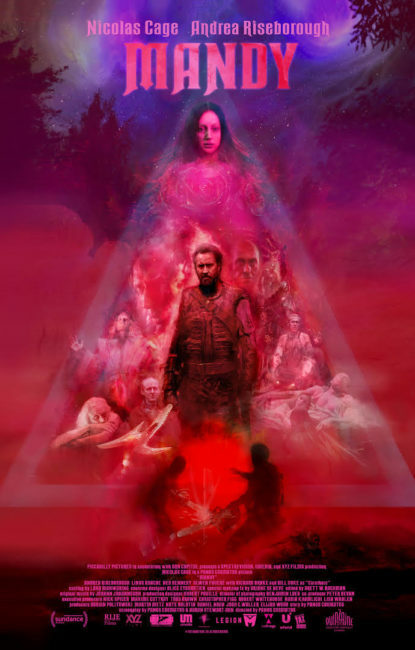 Cult director Panos Cosmatos brings the shocking visual design of his first film Beyond The Black Rainbow, and adds in a pinch of Nic Cage. The result? One of the most critically acclaimed movies of the year. Certified Fresh by Rotten Tomatoes, this is a movie that you would’ve smuggled home from Blockbuster as a kid. But now as a grown up? You get to see it at The Broad all next week. THE MISEDUCATION OF CAMERON POST, WE THE ANIMALS, THE CAKEMAKER, and BLACKkKLANSMAN all remain in our lineup for next week. If you are interested in hosting a private event or public film screening plus be sure to reply to this very email. We have plenty of openings for the next several weeks and our team will work side-by-side with you to pull off the movie night of a lifetime. For our $2 Tuesday selection next week, we journey to hell with our two favorite stoner friends in BILL AND TED’S BOGUS JOURNEY. As always, tickets for these cult classics are only two bucks, but for the first time ever if you bring us your MoviePass card to destroy we’ll let you in for the low low price of FREE! 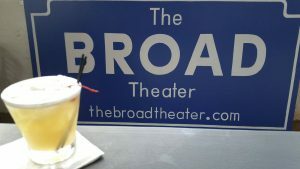 The Broad Theater offers limited parking in our surface lot for cars, and bicycle racks for our friends who like to pedal. Sidewalk parking is available throughout the neighborhood including directly in front of the theater. The tow yard across from our main parking lot as well as the AutoZone across Broad Street both offer additional parking without the fear of a costly boot.